For those visiting Bridgeport who have already sampled the city's fare or those who are residents of the city and beyond looking for a trip for a new culinary experience, here's the latest edition of WBOY's Restaurant Road Trip. And this one features a restaurant that can be found here in Bridgeport and throughout Harrison County. For this week's stop on our Restaurant Road Trip, we visited Dave's Famous T&L Hot Dogs. The original owners have expanded from one location to five locations throughout Harrison County. The third generation business still focuses on the same hot dogs, the original staple. Dave's Famous T&L Hot Dogs is now in the hands of his sons and grandchildren. It's humble beginnings were led by Dave willing to take a leap of faith. "We didn't really have a game plan. 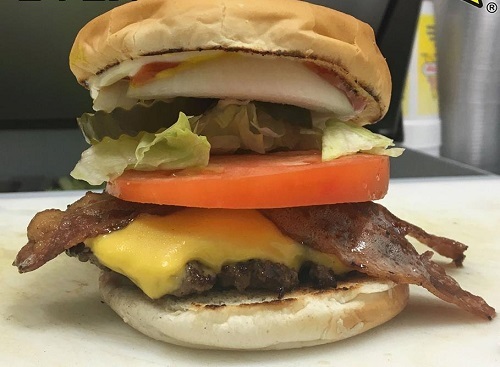 It was the 80s and none of us had ever been in the restaurant business prior to that so it was kinda learn from the fly and it just caught on and customers loved the product and we just expanded our menu to what it is today," said Mike Henderson, second generation owner and son of Dave. Returning customers are treated like family and that's a principle that's been passed down through three generations. Editor's Note: Photos are from Dave's Famous T&L Hot Dogs Facebook page.